Evidence today that life in the quake-struck township of Kaikoura is returning to normal. The rise in community spirit engendered by the quake has very obviously dissipated. The editor’s column in the Kaikoura Star on 7 December admonishes residents for returning to their old ways. It’s not like their increased offending can be blamed on outsiders either – the place is swarming with cops and cut off from the outside world. After surviving one of the worst earthquakes in living memory, it looks like Kaikouranz still have to be saved from themselves. “…I was sad to hear the other day that police are having to deal with increased drink-drivers and dishonesty offences…just remember, there are a lot of police in town at the moment and are still trying to prevent us all from doing silly things. Kaikoura is not a big place, if you do have a drink why not walk to your destination. Apparently, some businesses have had the audacity to set up Givealittle pages to recoup their losses following the Kaikoura earthquake. How un-public spirited of them to try to survive. Meanwhile, the council’s decision to ban a coffee cart from the town centre has been slammed as mean-spirited and unhelpful by some residents. Sharon Rayner’s Bean Me UP cart (great name) had been moved to the main part of town to deliver free sustenance to extra police, army personnel, civil defence and other emergency workers. Now that they no longer need her services, and other businesses have reopened and are complaining about her presence, they want her gone.ASAP. Yesterday, please. Sharon has been told to move her cart back to its original Beach Road location, where unfortunately there is little trade after SH1 was decimated by the quake. Maybe Sharon should also set up a Givealittle page, if that’s ok with the townships other residents too? Some of our readers may recall this article:There’s a lot of viciousness in Kaikoura. We wrote about how an immigrant couple who were trying to operate their buisness were run out of town. Ms Irvine-Boag and her partner Tony Neumann had to move out of Kaikoura because of two violent street assaults and threats that were made against them. They moved to the coastal community in 2008 but say they soon encountered hostility from the locals who treated them as outsiders. Ms Irvine-Boag said their neighbour refused to speak to them, while pavement signs for her business were repeatedly moved. “You can be there 40 or 50 years and you’re still not accepted,” she said. The final straw was a violent attack that left her partner needing stitches to his mouth and lip. Read details of the assaults here in the Marlborough Express. Ms Irvine-Boag said she could not understand why two “semi-retired” people in their 50s were targeted. After what felt like a long, “very cold” winter, the couple put their house on the market and moved to Christchurch, vowing they would “never return to live in Kaikoura”. Police seize cash, drugs in Kaikoura – police have seized thousands of dollars in cash and drugs in a raid on a property in Scarborough Street. Well, I can relate fully to that. Been living here nearly 2 decades and still not accepted. Still get loads of not so polite comments about my accent and there is a lot of nastiness about the fact that I bought a modest home – “stealing their land”. This is why I avoid talking to locals. Don’t get me wrong, I managed to build a few meaningful friendships here, but they are with British ex-pats. (I am not British, still we get along fine, something I found impossible with the Kiwis). I wish this couple well. Hopefully they will be happier in Christchurch. I never lived there, only visited it twice and loved it. As tourist attraction it was absolutely wonderful. But to move there – I didn’t think so. I did some serious soul-searching and realised that although I am not miserable (it is my nature to resist being that way), I am not happy. I feel trapped and I will not be happy until I remain in NZ. As for Kaikoura – I read the sad news that there was a lot of looting after the big earthquake. How disgusting. And to call the stranded there tourist “free-loaders”! It sounds awful, but I can’t help myself thinking that may be Kaikourians deserve what they got. Natural disasters can bring out the worst in people, like eating lifeboat mates. Living on a fault-line, is it their fault? Maybe any and all NZer’s are culpable for not moving off the ring of fire? Or maybe its Gods ‘fault’ for forming these lands from the bowels of his creation. We get what we get sometimes though no ‘fault’ of our own, unless you are a karma fundamentalist. 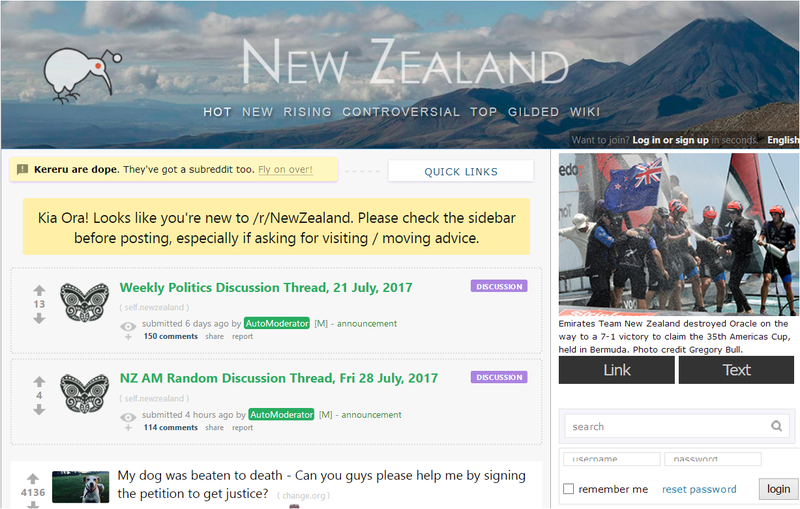 I could have left NZ years ago, but I was born with a neuro-disabilty due to damaged genes, polluted parents and environment during growth, further compounded and aggravated by all round ignorance from all parties at every level, including myself who is fairly smart but not so much socially. Maybe the sins of the father are visited upon the child, who must pay for the parents ‘fault’. I was set up even before I was conceived, just as Jesus was stitched up by his dad. The dead from the quake may have been at ‘fault’, but maybe we judge too quick sometimes. He who casts the first stone….. I disagree. A country is what its people make out of it. NZ would have been fine place to live if its people were more cultured and open-minded. Natural disasters happen everywhere and there is low-life scum everywhere that take advantage of such situations. But it is my first to read that there is so much hostility towards the tourists who were stranded in this place. It hit me, because it is inhumane. They too were scared, hungry, cold..they too needed compassion and help. Your right on all accounts and I agree with you too. Sometimes I like to be the devils advocate, and sometimes I try to be bigger than the situation, to be understanding and accept what is,, rather than blame or find fault. No fault shall line my nest. My reality need not be that of externals around me. I embrace this mindset for self preservation, and sanity, as I still reside in Shitholeville. Its almost biblical when you get down to it. Godzone pffftt! 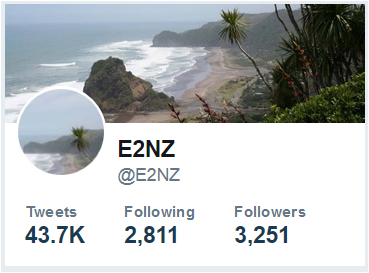 I think religion was made to give succor to the downtrodden, and since reading E2NZ and absorbing its messages, I have become somewhat spiritual about it all. For me, its better than raging, as anger is one letter short of danger. The beast wants you to get angry too…. the beast has won when you lose it. We all have a choice to do the right thing, and many NZers are failing the classroom of life. Its like Nigeria, its all around them and normalised. Forgive them father, they know not what they do? Some do, and burn in hell every day they wake up, some dont or are pawns, and sleep like babies. Ignorance is bliss, like childhood. But the adult should know better and will judge thyself and experience heat inside. Kiwis may awaken in the dream, maybe. Hope springs eternal. Forgive my religious or excessively understanding tone, its my way of processing the trauma of the NZ immigrant experience.